We have a large variety of effects lighting, ambience lighting, strobe lighting and all party related lighting. 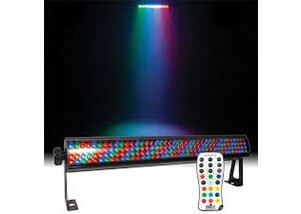 We have a huge range of LED Effects party lighting from just $30/night. Why Choose Hire King for your Party Lighting? Most of our lighting is sound actived and the lights move in beat with the music. Below are the lights we have available along with pricing. If you don't see what you wan't below give us a call on 6180 3899 and we'll most likely have it! 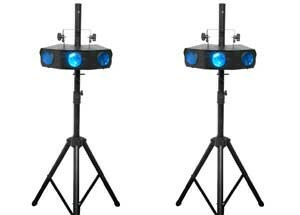 And now that you have your lighting sorted why not also hire a dance floor for your guests. Not sure which package you need? No problem! Give us a call on 6180 3899 and let our experts recommend a package that will work best! We also tailor make packages if required. 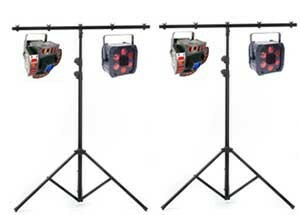 The circus is a sound activated ever-changing effect light with flowing, razor-sharp beams with a very unique built in white strobe function. A smoke machine with this light is highly recommended. Please take care with strobes as they can cause epilipetic fits. This light is sound activated and moves automatically with the music! This award winning effects light produces 57 beams of coloured light. The light is completely sound activated and is the perfect dance floor light. A smoke machine is highly recommended with this light. The Tri Razor sends a barrage of sharp edged beams firing out to every corner of a venue. Bright and colourful with wide beam coverage makes the Tri Razor the light of choice. This light is sound activated. An extremely impressive effects lights which combines laser like beams as well as moonflower effects from the central fixture. This light is sound activated. The first LED Effects light of its type features a transparent casing. This light is sound activated and can be synced to a second Jellyfish light. This is a sound activated light with multiple colours that produces dazzling circle beams and effects. 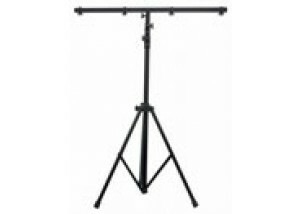 The Revo covers a large area and has very powerful beams. This light uses 4 lenses to create vibrant colour effects. The lights move in a varity of patterns and go along to the music. A very impressive light! 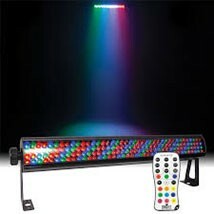 This is a LED multicoloured light that is sound activated and looks great with a smoke machine. Forget the UV tubes. We now have brand new LED UV technology. We have a massive range of UV lights for your next glow or white party.This light will make all fluoro and white colours glow.To check out our huge range of UV effects lights visit our UV Lighting page. This multi-coloured sound activated rotating LED ball can completely change the ambience of an entire room. We highly recommend a smoke machine to be used with this light. 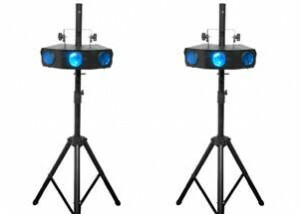 If there’s one outstanding feature that contributes to the success of some parties, discos, nightclubs, and special events, and gives them spectacular appeal … it is the quality, variety and creative display of their lighting systems. And there are a thousand and one reasons why … the sheer variety, size, and breadth of today’s range in lighting options that have been specially designed to beautify any venue or event, and give them hypnotic, allure and vibrant, ambience. Perth has its own share of discos, nightclubs, entertainment spots, and special events, while parties big or small are virtually everyday occurrences in this vibrant, fun-loving city. Owing to this, the demand for special, indoor/outdoor lighting systems has been growing steadily over the years. 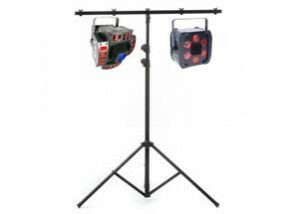 As any professional, event manager, wedding planner or interior decorator will affirm, party lights, disco lights or special effects lighting systems can be an extremely expensive investment. 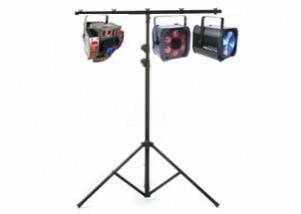 However, the good news is that now there’s an attractive and cost effective, alternative … unbeatable opportunities to avail of a wide range of Perth party lighting hire products, including party light hire, disco light hire, and special effects lighting, for indoor and outdoor use. Perth lighting hire providers, like Hire King, are the ideal places to visit with their extensive, collection of indoor/outdoor lighting products and systems, price-packaged to suit every need and budget. So if you are running a disco or night club, organizing a special event, or simply require a unique and creative, lighting display system for your next special occasion or DJ driven party, make a bee-line for Hire King. 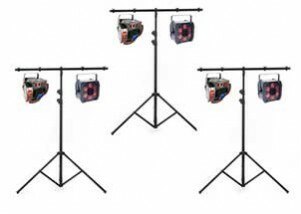 ● light controllers ● light boards ● light color changers ● light scanners ● moving lights ● intelligent lights ● LED lights ● spotlights ● outdoor lights ● fiber optic lights ● architectural lights, and more. MULTI–COLOR LIGHT BULB OPTIONS ● par bulbs ● black light bulbs ● discharge bulbs ● halogen bulbs ● incandescent bulbs ● projector bulbs, and more. DISCO LIGHT HIRE / PARTY LIGHT HIRE ● laser ● strobe ● rope ● special effects lighting systems ● disco balls ● beacons ● light filters, and more. Professionally-displayed, creative lighting will never fail to amaze or catch the attention of guests. In fact, a clever choice of light hire options creates the kind of ambience that can add value to any event and will be a significant contributor to its success. So if you are in the market to select the ideal party lighting hire solution, Hire King will be of great help to you.